The Japanese school and professional year begins in April. The cherry blossoms are almost at peak bloom here in Tokyo. Their calming pink hue and delicately sweet scent is a contrasting backdrop to the frenzy that accompanies the preparations of students and job-seekers in Japan as they gear up for April and all it brings with it. Spring harkens new beginnings in the form of a new school year, a new fiscal year and a new wave of initiates beginning their careers in companies across Japan. If you are new to the country, or you want to work here, it helps to be aware of the changeovers that occur during the fourth month of the year. 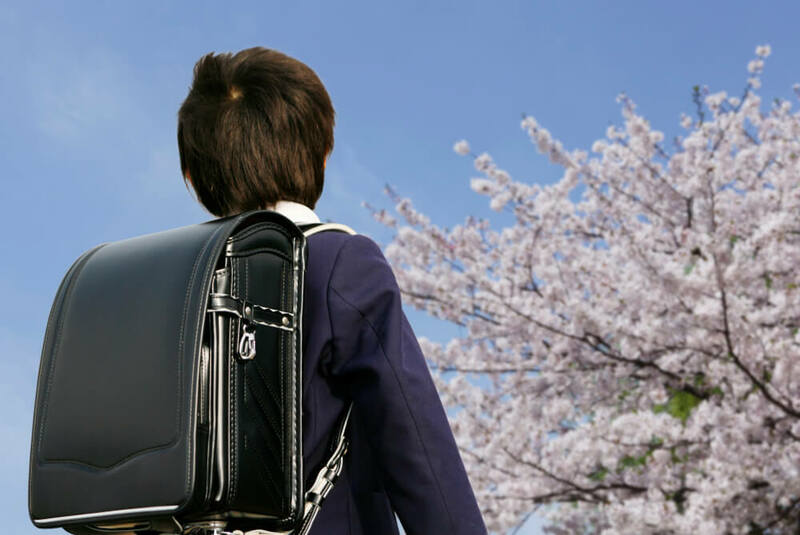 Unlike in Western countries with their autumnal starts, all Japanese schools begin their new year in April (with the exception of international schools, for the ease of new-transfer students), after their spring break. The reasoning for this is likely, in part, to prepare children for the real-life hiring frenzy that occurs at the same time of year for adults in Japan. It might also partly be the fact that summers here are simply too hot for new challenges. Japanese culture is very sensitive to the changing of seasons, and to convenience, which results in new beginnings being synced up for everyone across the board. Not to mention, with the school year starting in spring with those lovely pink petals lining most school campuses, it’s the perfect pictorial image for parents to snap photos of their kids on their first day at a new school. Students come armed with brand-new and adorable stationary and freshly pressed uniforms, ready to meet the demands from the education system that are steadily increased and impressed upon them. It isn’t just the students that are faced with changes, either. This is the time of year where teachers are reallocated, sometimes to new schools entirely, but certainly to new grades and new desks, and is something I am currently experiencing first-hand as an ALT. Everyone packs up their desks for them to be moved while they are on vacation. These teachers have spent the entirety of the previous month stuck in meetings to find out their new schedules, placements and changes to their jobs. Both students and teachers might find their entire ecosystem very different than it had been the year before, which somewhat levels the playing field. Teachers I know who were drastically emotional about their time with their students coming to an end feel a sense of refreshment at the prospect of an entirely new class for their homerooms. Job hunting is the other big change in Japan and is known as “shushoku katsudo” or, for short “shukatsu.” In truth, these job hunting activities actually start long before April, which is the culmination of all these efforts and when the new employees actually begin their careers. Job hunting begins as early as November of the previous year, with January and February being the most heated for job-seekers. Bear in mind that September is also a decent intake time for Japanese companies, but the spring intake is by far the largest. Tailors and department stores often match up their biggest suit sales for this time of year, as everyone wants to look their best for their job interviews and for the subsequent first days on the job. If students are in their last year of university, the pressure is all the more prevalent for them. This is the time of year when the government allows large companies to begin their hiring cycle for graduates. This cycle begins in April for a start date during the following April, taking an entire year to complete. This means that students in their last year of university are already looking for positions in their perspective careers BEFORE they even receive their degrees. The system of hiring students en masse for entry-level positions is called “shinsotsu-ikkatsu-saiyō” and the job offers given by these companies are called “nainaitei”, which means an informal job offer, which will ideally lead to a “naitei” or formal job offer in the following six months. The truth of that matter is that companies within Japan prefer to hire new graduates as opposed what are called “mid-career hires”, to the point where it can be quite difficult to acquire a job in Japan should the student miss the hiring season. It is very common for these young-adults to then opt to stay in school for another year, which allows them to have another go at their chosen profession. South Korea also followed this practice for many years, until an anti-discrimination law was passed in 2010 to prevent companies from discriminating against job-seekers who were not fresh graduates. After this, Japan became the only country to allow these types of simultaneous hiring. April is a beautiful month in Japan. The weather is warm and the air in clear, but it can be both stressful and exhilarating for those who feel the changing tides of this time. These different type of spring beginnings can be a difficult adjustment for foreigners who wish to move to the country, but as long as you are prepared to jump in with both feet, you can adjust well to this secondary ‘new year’ in Japan. Coming to Japan with your kids soon? We have a lot of family-friendly food tours in Tokyo, Kyoto and Osaka — be sure to have a look! Rae is a west coast Canadian who moved from glittering lakes to the glittering streets of Tokyo.